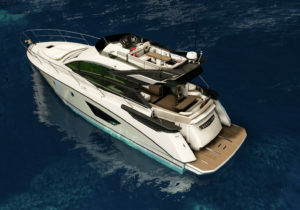 South Coast Yachts in San Diego and Newport Beach will be displaying an attractive variety of 15 brand new Beneteau Sailboats & Powerboats in San Diego, along with their debut of the new Beneteau GT50 Sport Fly(pictured here) Beneteau Oceanis 51.1, and Wellcraft Center Consoles and Four Winns Runabouts! “As the flagship of the latest generation of sport cruisers by Beneteau, the Gran Turismo 50 Sport Fly stands apart. Her elegant profile, full-space main deck, and onboard technology will win over connoisseurs of beautiful objects and thrill-seekers alike”. Stop by and take a look.